Spectrum Overhead Door LLC is locally owned and operated. Visit us anytime at our Office location: 11020 Katy Freeway #116 Houston, TX 77043. We perform all types of garage door services including: garage door repair, broken spring replacement, off track garage doors, tune-ups, garage door opener troubleshooting, opener repair, opener installation, garage door installation, and driveway gate repair and installation. No job too big or too small. I am likely to recommend Spectrum Overhead Door Company to a friend. Spectrum Overhead Door Company communicated with me effectively. 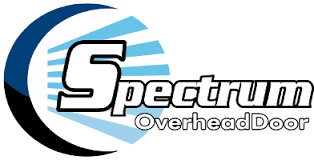 Spectrum Overhead Door Company had the necessary expertise to manage my project. One door still sticks at the bottom. One remote doesn’t work. I recommended the company to a friend of mine that was in the process of having work done on her door. This is a very highly recommended company. Technician was friendly and knowledgeable. He explained all aspects of the job, and we would recommend them to anyone who would ask for an overhead door company. The whole experience was quick and easy. It was easy to talk to a real person that was very knowledgeable, yet was not pushy or steering you toward an upgrade. Every question was answered. The ordering process was easy. The installers were on time, professional, and quick. Excellent customer service, professional and knowledgeable, and fair pricing. Can't get better. I called Spectrum first to get some idea of what might be wrong and an initial cost. When tech got here and did a review, he found other things wrong and the cost went up $500.00 plus. He broke the work down so I could understand the pieces and cost for each. I found this very helpful and agreed. I found Spectrum several years ago. Every time they come to my house, their techs are knowledgeable, friendly, and professional. They also offer convenient appointment times. They were unfamiliar with a Wayne Dalton door and therefore they were not able to repair it with the proper bracket required by the manufacturer. I had to call another company to get it repaired. Garage door brackets and bearings were no longer available for my garage door. Service representative was able to adapt newer brackets/bearing to make them work, eliminating the need to replace all the garage door guides. This resulted in significant cost savings. The spring, right side mounted spring, he is about to install was old, used, and rusty. I refused to let him install such a bad spring. I was told that it's the only one he had, the rest are left mounted spring. I opted for the better looking left mounted spring, but he needs to modify the overhead mount. It works but I don't know when it gonna last. It was a small repair, but after the tech was done it was like it never happened. I was relieved it was repairable. Tech was professional and courteous. The service man went above and beyond! He recommended an additional service for a reasonable price. It was great. Because of the extra service our garage door is super quiet. They did a repair for me. They knew what they were doing. They were quick, clean, and right on target. I'd give them an A+. They did an outstanding job. Excellent work, no complaints, and I'd recommend them for garage door repair.